Tony Nunes' practice focuses primarily on international projects, finance and corporate and maritime transactions, with a particular emphasis on energy-related matters. 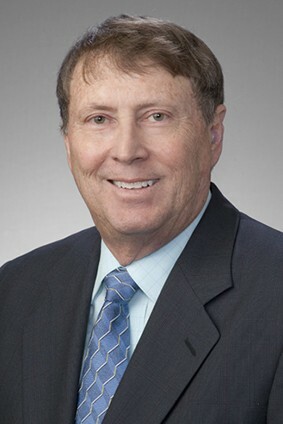 He has extensive experience advising on the purchase, sale, financing and chartering of LNG tankers, offshore drilling rigs, barges and other shipping matters, including the drafting and negotiating of bareboat charters, O&M agreements and other ancillary documents in connection with floating production storage and offloading vessels (FPSOs). Mr. Nunes has more than 35 years of legal experience in transactional, litigation and international arbitration work, and has a broad resume in the representation of clients in the energy and financial sectors. He also serves as an arbitrator of commercial disputes for the American Arbitration Association. Documenting and registering numerous vessels under the flags of the United States, Panama, Liberia, Vanuatu, Cayman Islands, Mexico and the Bahamas. Numerous transactions involving the purchase, sale, financing and chartering of LNG tankers, dry bulk vessels, towing vessels, offshore supply vessels, inland and ocean-going barges and drill rigs. Working with various United States inland waterway barge companies in connection with coastwise trade and Coast Guard regulatory issues. Numerous time charters for LNG vessels worldwide, a major offshore supply and work boat company and drilling and other energy-based companies. Representing a large South Korean engineering and construction company in connection with contracts for the construction of a surface wellhead platform in the Kizomba B project, offshore Angola. Negotiation and preparation of all necessary bid and contract documents for the design, construction or conversion and chartering of two shallow draft oil shuttle tankers for use in Bohai Bay, People's Republic of China. Acquisition, public debt financing, general operations and eventual sale of an offshore drill rig fleet by a large Malaysian public company. Preparation and registration of two long-term charters and one interim charter agreement with respect to three ocean going tugs for use at the EcoEléctrica LNG facility in Peñuelas, Puerto Rico. Negotiation and drafting of voyage charters for transportation of LNG from Trinidad to Elba Island, Savannah, Georgia, and from the LNG facility in Indonesia to the United States. Representing a New York energy hedge fund in connection with $100 million of subordinated loans and financial restructuring of a large Gulf of Mexico offshore work barge and pipe laying company. Representing U.S. drilling companies and financial institutions in the construction, restructuring, sale, and acquisitions and foreign transfer of various U.S. flagged vessels financed under MarAd's Title XI Guarantee Program. Representing a vessel owner in the negotiation and preparation of all necessary documents in connection with the conversion of a 133,000-ton tanker into an FPSO and its subsequent chartering to an independent oil company for use offshore the Ivory Coast, West Africa. Representing a large United States oil service company in connection with the bid, charter and Operation and Maintenance (O&M) agreements for the conversion of two oil tankers into FPSOs for use offshore Equatorial Guinea. Representing a United States independent oil company in connection with negotiating and drafting a bareboat charter, O&M agreement and other ancillary documents with the owners and operators of a 100,000 barrel per day FPSO for use offshore Sabah, Malaysia. Representing a consortium of multinational oil and gas companies led by Chevron U.S.A. in connection with a multibillion-dollar LNG liquefaction and storage facility in Angola; drafting and negotiating a participation agreement and shareholders' agreement between the partners and working on all necessary agreements with the Angolan national oil and gas company for the supply of gas to the plant and construction of the plant. Representing a United States company in connection with the structuring of operations in Argentina for the importation of LNG by Repsol YPF. Representing a European shipping company in connection with floating liquefaction storage offloading unit for export of LNG from Colombia. Representing a large Japanese investor in connection with its investment in Equatorial Guinea LNG - Train 2; reviewing and advising on various gas marketing, gas supply, gas gathering and shareholder and plant management agreements and other ancillary documents in connection with the project. Representing the Jamaican government in connection with a proposed LNG import and regasification terminal to be built in Jamaica. Representing a large Spanish oil and gas company in connection with the purchase of liquefied natural gas from Peru LNG S.R.L., a joint venture company formed to build, develop and operate a 4.0 MTPA liquefied natural gas facility in Peru. Representing Gazprom Marketing and Trading Company in connection with numerous LNG master sales and purchase agreements. Representing an overseas LNG trading company in obtaining throughput capacity at the Freeport LNG facility in Freeport, Texas. Representing a multi-national company in connection with a proposed deepwater port LNG import facility offshore California. Representing a joint venture group in connection with a proposed deepwater port LNG import facility offshore Long Island, New York. Representing various U.K. and European banks in numerous oil and gas and other energy sector lending transactions in the United States and elsewhere. Representing U.S. companies in connection with joint operating agreements in Turkmenistan, Mexico and Trinidad and Tobago. Representing a U.S. independent oil company in connection with a farm-in of three offshore blocks in the Bass Strait, Australia. Drafting farm-in and farm-out agreements in Trinidad and Tobago and southeastern Australia. Acting as outside general counsel for a Houston-based drilling company owned by Malaysian investors in connection with operations in the Gulf of Mexico and Brazil. Representing a U.S. oil and gas exploration company in negotiations and documentation of a joint venture in connection with the development of two blocks offshore Nigeria; drafting and negotiating terms of the license agreement for the offshore block. Representing a large Russian oil and gas company in connection with the negotiations of drilling contracts for the drilling of two wells in the Caspian Sea. Representing a New York private equity fund in connection with negotiations concerning a fertilizer and UAN plant to be built in Trinidad and Tobago. Representing a European company and its various U.S. subsidiaries in connection with their upstream oil and gas operations in Alaska, including drafting and negotiation of numerous gas sales agreements, master service agreements and construction and installation agreements of offshore production platforms and facilities and an onshore gas processing facility. Representing an oil and gas company in negotiating and drafting the necessary documents for offshore platform bid and construction in the Gulf of Mexico. Representing a Canadian company in connection with the acquisition of a fleet of U.S. based land drilling rigs. Negotiation and drafting of various joint venture documents and pipeline throughput and interconnection agreements for oil and gas wells in the Gulf of Mexico. Representing a U.S. company in connection with the construction, financing, operation and eventual sale of a Houston petrochemical plant. Representing a large Australian E&P and mining company with respect to the negotiation and work on various joint venture documents and pipeline throughput and interconnection agreements for deep sea oil and gas wells in the Gulf of Mexico. Revision and drafting of bridge financing documents, EPC contract and power purchase agreements for two wind energy facilities in West Texas. Representing developers in connection with the financing, construction and sale of an 80 megawatt wind energy generating facility consisting of 80 wind turbines in West Texas. Representing a large U.S. public company in various foreign asset monetization transactions and the sale of an ownership interest in, and control of, an overseas electric power generation facility. Representing a large U.K. bank in connection with the $60 million asset-based financing of a U.S. gas compression equipment company, and another U.K. bank in connection with a $300 million loan to a U.S. electric utility company. Representing the Chilean subsidiary of a large Australian energy company in connection with the financing and counterparty guarantees with respect to a power purchase agreement for a new power plant under construction in Chile. Representing a large Mexican law firm and a U.S. bank in connection with the restructuring and refinancing of multimillion-dollar loans to numerous Mexican private-sector corporations. Negotiating and working on various project refinancing documents for the EcoEléctrica LNG facility in Puerto Rico and monetization of one of the joint venture partner's ownership interests in the company. Representing various U.S. and overseas banks and borrowers in numerous asset-based loans, project financings and senior debt financings. Representing banks and banners in connection with construction loans for: a hotel in Houston, Texas; an oil service machinery plant in Houston, Texas; offshore drill rigs; ships; tankers; and other assets. Mr. Nunes is a former adjunct professor at the University of Houston Law Center, where he taught courses in international financial transactions and international litigation and arbitration between 1986 and 2000. He is a former member of the executive councils of the International Law Sections of both the State Bar of Texas and the Houston Bar Association and speaks regularly at the State Bar and various law school seminars on international banking, energy projects and arbitration issues. Speaker, "International Arbitration from a Texas Perspective," AIPN Luncheon CLE presentation, March 25, 2009. Speaker, "Assessing Commercial Risk," LNG North America Summit, June 19-20, 2007. Speaker, "The Rapidly Expanding Role of LNG in North America, Monetizing Natural Gas: Gas to Liquids & Methanol," Chemical Week’s 3rd Annual Conference, December 4, 2006. Speaker, "Liquefied Natural Gas: U.S. Market Developments," Chemical Week’s 2nd Annual Conference: Monetizing Natural Gas, December 5, 2005. Speaker, "Changing Contract Practices in LNG as an Alternative Fuel for the Chemical Industry," Chemical Week Conference on Global Outlook for the Chemical Industry 2006, November 29, 2005. Speaker, "LNG Project Financing Issues," 2005 Conference of the International Bar Association, April 18-19, 2005. Speaker, "Legal Issues in Navigating the LNG Chain," 2004 Conference of the International Bar Association, October 26, 2004. Speaker, "Changing LNG World Emphasis: Nigeria & United States," Corporate Council on Africa: 4th Biennial US - Africa Business Summit, June 25-28, 2003. Speaker, "LNG Contracts in a Changing LNG World," LNG: Economics and Technology Conference, January 29, 2003. Speaker, "Exit Strategies for International Energy Projects," Houston International Bar Association Section on Energy Law, October 14, 2002. Speaker, "Enforcing the Deal and Ensuring Compliance: Arbitration; Enforcing Judgments, and Other Dispute Resolution Procedures," South Texas College of Law, September 16, 2002. Co-Author, "Regulation of oil imports in the United States and the European Union," Oil, Gas & Energy Law Intelligence: Volume 9 - Issue #02, March 2011. Co-Author, "Has Mexico Finally Got it Right?" Financier Worldwide Global Reference Guide 2011: Energy & Utilities. Author, "Charterer’s Liabilities under the Ship Time Charter," 26 Houston International Law Journal, Spring 2004. Author, "Foreign Banks Come Sailing in While U.S. Banks Tack Slowly Upwind," 13 Houston International Law Journal, Fall 1990. Co-Author, 1985 Texas Foreign Bank Agency Act.